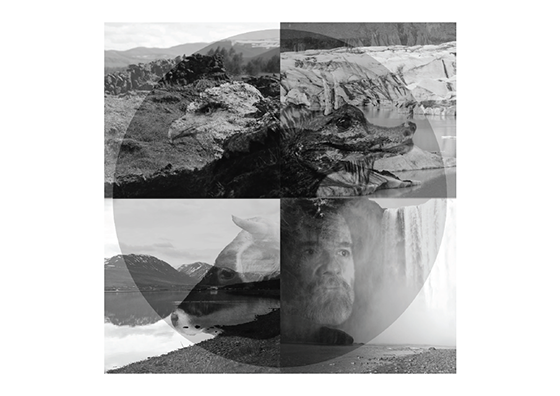 Myth and Science in the Land of Fire and Ice is an exhibit of photographs and mixed media by artist Gwen Morgan examines themes of spirit and matter by contrasting nature centered spiritual beliefs in Iceland with in-the-field science. This exhibit will run from Friday, March 3 to Friday, March 31, with a reception on March 3 with the artist taking place on Friday, March 17 from 4 to 6 p.m. at the Wilson Art Gallery in the Noreen Reale Falcone Library. Ms. Morgan is a documentary and wildlife filmmaker who earned her B.A. from Le Moyne and her M.F.A. from American University. Her field experience includes rappelling into caves to shoot footage of bats and traveling by airboat to shoot footage in the Everglades. Her professional work experience also includes film production, video, broadcast television news, journalism, graphic design, research, writing, web design, and multimedia. She is the Media Technology Coordinator and an instructor at Le Moyne College. The reception and exhibit are free and open to the public during regular library hours. For more information, call (315) 445-4153.